Facility management features that will save you time and generate more revenue. RecTimes was built by all the facility Owners, Managers and Schedulers like you over the years to provide the features you need to be more efficient and profitable. 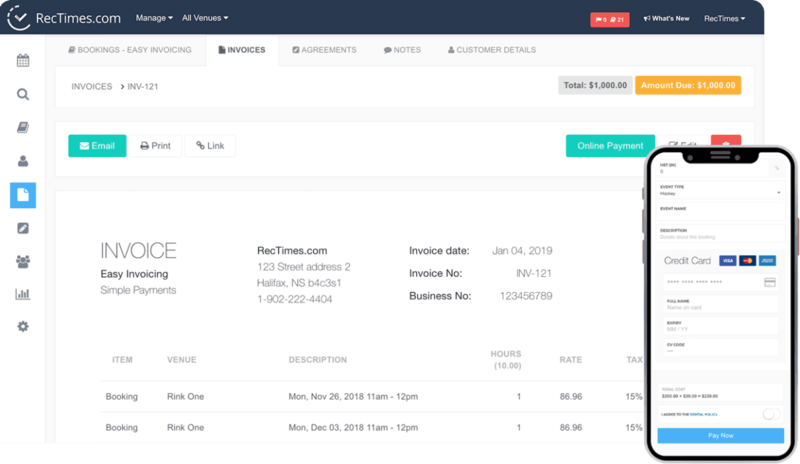 Creating bookings with RecTimes is easy. 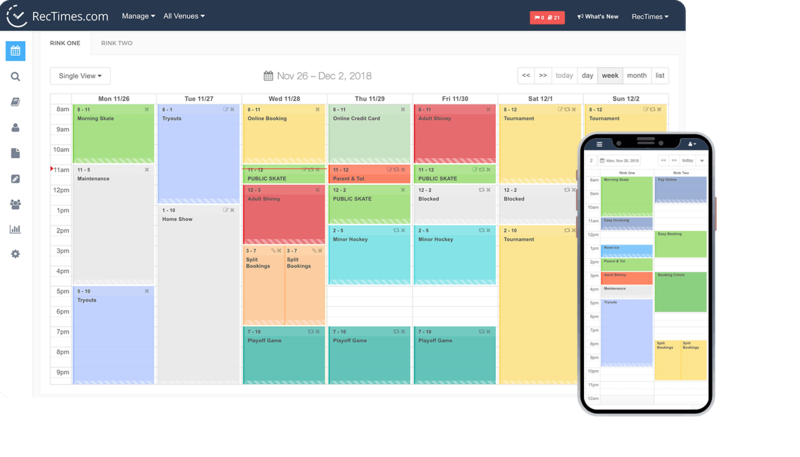 A simple calendar view accurately shows what openings you have available in real-time. 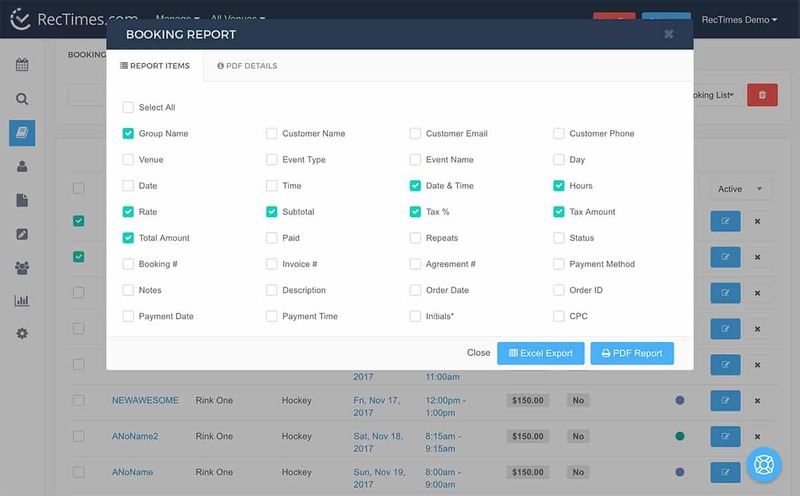 With RecTimes integrated invoicing, you can create, send, and manage invoices for an entire team's season with just a few clicks. Invoices are always in sync with your booking changes. 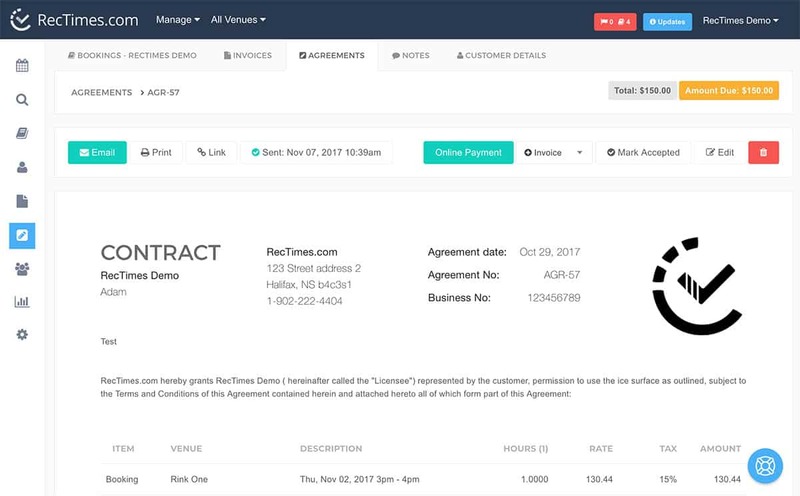 Get approval fast with our agreement and contract creation system, you can create, send, and get approved online with just a few clicks. You can create a yearly agreement in just a few minutes. Reporting only for what you need. With real-time facility reports, you can actually track the details that matter to you. Learn to take control and make better decisions. Schedule a live demo with one of our experts and we will show you how RecTimes can help manage your sports facility.